Wrike’s social project management and collaboration solution is demoed by the CEO as one of the four winners of Innovation Showcase competition at Enterprise Connect. Wrike’s unique work graph model blends task and project management, social collaboration and real-time messaging in one app," said Andrew Filev, Wrike CEO. Wrike, one of the four companies chosen for Enterprise Connect’s Innovation Showcase, today demos its social project collaboration software that helps companies from 55 countries efficiently collaborate in the cloud. Enterprise Connect®, held March 26-29 in Orlando, FL., is the leading North-American conference and exhibition for cutting-edge technologies in unified communications and collaboration. Wrike’s innovative software blends full-featured project management with friendly social networking features and deeply integrates with email. Wrike’s customers include everyone from local nonprofits to global corporations, such as Ecco, Kraft Foods and Salesforce. Enterprise Connect's annual Innovation Showcase competition spotlights innovative companies that are revolutionizing enterprise communications and collaboration. Wrike was selected among numerous other applications to present on the keynote stage. Filev shares Wrike’s unique vision of improving enterprise collaboration and demos the highlights of Wrike’s social project management and collaboration mix. Wrike also exhibits in the booth 1217 on the Enterprise Connect show floor. 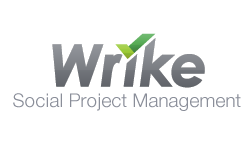 Wrike is the leading on-demand, online project management and collaboration solution. It provides teams with a unique platform for collaborating on multiple projects in one workspace in real time. Collaboration features of Wrike give a significant productivity gain to thousands of companies all over the globe, including eBay, Kraft Foods and Ecco. Wrike’s Intelligent Email Engine is patented. Wrike, Inc. is a privately held corporation located in California. Enterprise Connect® (formerly VoiceCon) is the leading conference and exhibition for enterprise IP Telephony, Converged Networks and Unified Communications in North America. Enterprise Connect® brings corporate IT decision makers together with the industry’s vendors, analysts and consultants to focus on the issues central to enterprise networks and communications. Enterprise Connect® owns and produces No Jitter, (http://www.nojitter.com/), providing daily blogging and analysis of enterprise communications, and it also serves the community with a weekly email newsletter, a Webinar Series and Virtual Events. For more information, visit http://enterpriseconnect.com/.